This rare piece of furniture is imported direct from Italy. 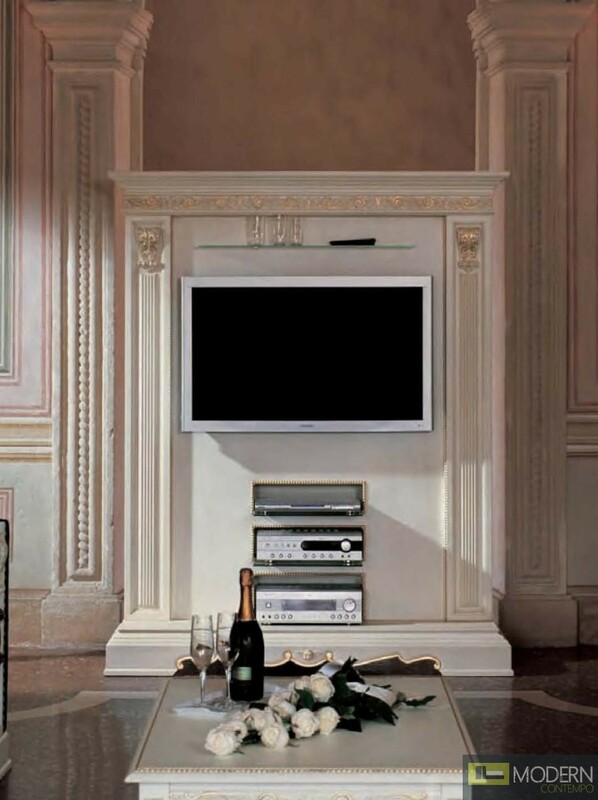 The entertainment center is an expansive piece, constructed entirely of hardwood and given an opaque, off-white finish. Throughout the piece is gold accenting and detailed wood carving, adding to the overall European feel of this piece.